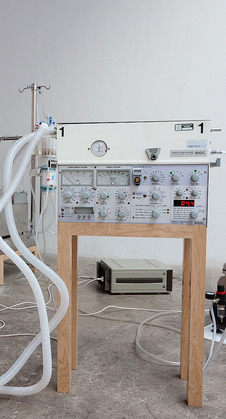 Repurposing a retired greyhound racer as a human respirator or a pet sheep as a human dialysis machine represent the type of concepts that irreparably change your understanding of what design can do. 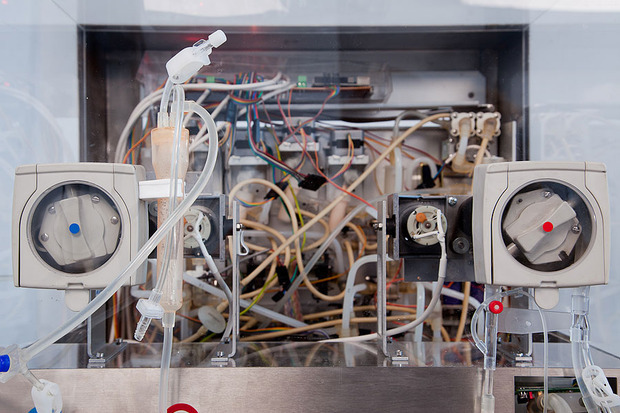 How about an electricity-generating human organ that can be implanted to replace the appendix? Such is London-based designer Revital Cohen’s specialization: pushing the applications of design into the realm of what seems like science fiction, holding back just before it leaves reality. Fictional ideas might be all too easy to dismiss as flights of fancy, but Cohen does not just pluck them from the sky—hers are consciously based on the newest scientific research. A 2008 RCA Design Interactions graduate, Cohen is now in the process of establishing a collaborative studio with partner and fellow graduate Tuur van Balen. Over the past four years, her work has been included in seminal exhibitions, such as MoMA’s Talk To Me exhibition in 2011 and the Why Design Now? triennial at the Cooper-Hewitt in 2010. 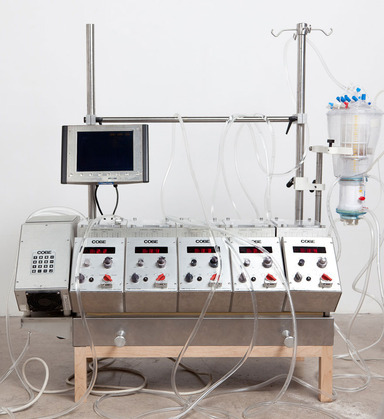 Her most recent work, The Immortal, entails a dialysis machine, heart-lung machine, infant incubator, chemical ventilator and a cell saver all hooked up to each other in a seamless exchange of air and “blood” (salty water for these purposes). We recently asked Cohen about this project and more. See the interview below. The Immortal has been in the making for quite a few years now, where did it all begin? It started as a thought experiment and has now become a reality. I have been fascinated in these objects since my Life Support Project . They are so meaningful but we never see them unless we use them, which means we never really discuss them in the context of material culture or design — how they are designed, by whom and what their design problems are. They are one of the most important and significant things we will ever use but they never get much attention beyond the engineering and technicality. I wanted to do this experiment to make people see these things and think about these machines. Your fascination with these objects also comes out in your video, The Posthuman Condition. Are these projects related? Actually the video is the research that became Life Support Project and was shot in a dialysis ward in a hospital. These stories first inspired the Life Support Project. Secondly it made me think that there are these objects that live secret lives, which normally people don’t ever see. That stayed with me and has now become The Immortal. As a designer it is interesting to think not only about redesigning these objects and how they are made, but also about the stories they tell. What are the stories being told in The Immortal? 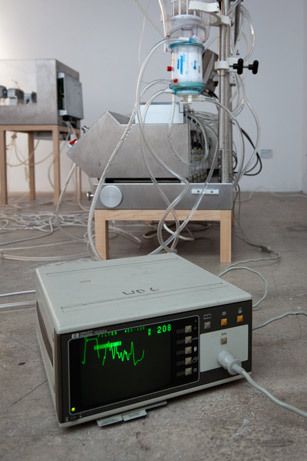 For one thing, these particular machines tell the story about how we perceive our bodies in Western culture. For example, this type of machine has never been invented in China because in Chinese medicine, their perception of the body is completely different. The machines in The Immortal emphasise that Western medicine sees the circle of life to be the heart and lungs. We completely ignore the digestive system. Chinese medicine looks at the body on a more chemical level and places a huge emphasis on the digestive system. So these objects really tell social and cultural stories. They are also objects that make us think about ethics and questions of prolonging life, cheating death, living an artificial life, euthanasia, living on machines when electricity consumption is bad for the planet… They just have so much grey area surrounding them. You have described this project as “artificial biology”. What does that mean? These machines reflect human attempts at biology. However it can’t really be done through mechanics or, if it is done through mechanics, it is so removed from anything that is biological. The installation takes up a whole room and it’s not even all the functions we carry in our little bodies everywhere. When we try to replicate biology, it’s amazing how complicated things have to be. What really interests me is the point of connection between the natural and the artificial — how we try to design organic things using artificial materials and how we try to control nature. All of the tools we have are designed — everything in our houses, as well as our cars and even roads. Once we have the tools to design the natural world, the question is how will we apply our artificial tools to biological material? 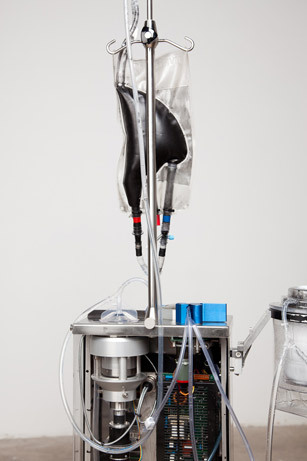 Would you ever redesign the actual medical life support machines? I have thought about that as a potential future project. Maybe, but at the moment for me it’s more about telling a story that makes the audience come out of the room thinking about these questions and objects. What are the applications and purpose of your design practice? That’s something I’m reviewing all the time. It’s always been to inspire people. To keep myself interested by asking questions I don’t know the answer to. To explore the nature of objects and the design of biology. Design biology is still a very conceptual thing to look into, but it is going to become a reality in years to come. What my and Tuur van Balen’s studio’s work will engage with are the implications of these new applications, imagining how they will be used and looking into the grey areas of designing bodies, biology and nature, and the meaning of nature whether designed or not. We’re trying to bring these questions up and make them part of the design debate.